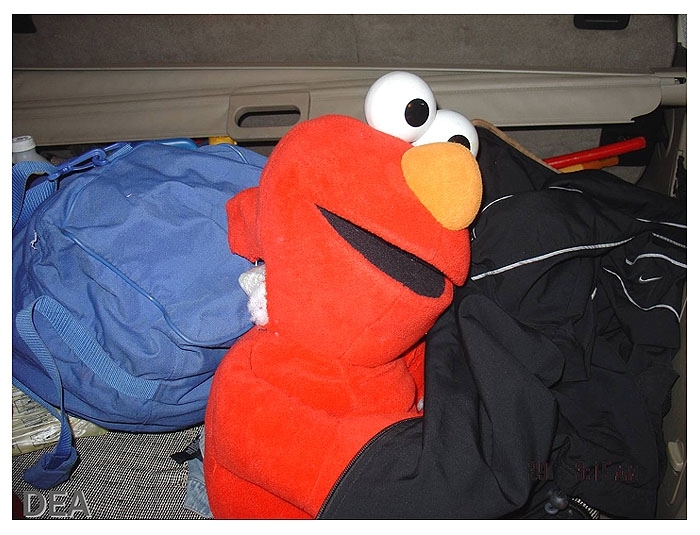 OCTOBER 26--A Colorado drug operation hid large quantities of methamphetamine inside Elmo dolls, according to federal investigators who yesterday announced the indictment of 21 alleged members of the ring. 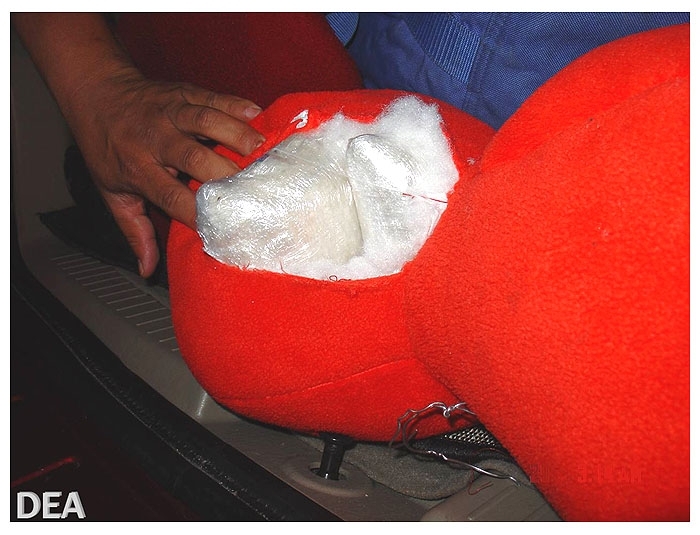 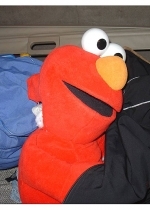 During a year-long probe, Drug Enforcement Administration agents seized an Elmo doll (seen in this DEA evidence photo) in Barstow, California that was stuffed with four pounds of methamphetamine. 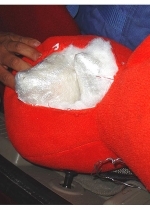 When investigators opened up the plush doll's skull, they discovered the drug stash inside wrapped in plastic (as seen in this evidence pic).